And, he’s why we went to Warrenton, in Fauquier County, Virginia where Brodie was born on September 11, 1868. Brodie is an annoying mix of fact and fiction. And, I’m here to annoy you with both. 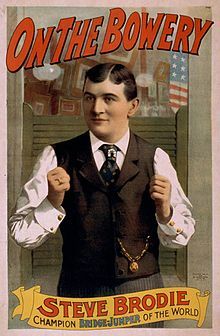 While he was born Walter Scott Brodie, I am assured by historians that everyone called him Steve, after the famous daredevil of the day, Steve Brodie. But, no, not everyone called him Steve. Reporters regularly called him Walter. And, I bet his mother did, too. That Steve Brodie was famous because he said he jumped off the Brooklyn Bridge and survived, although even his fans thought he faked it. Many of his subsequent public jumps off bridges seemed to occur at dusk or twilight and reporters always suspected that stuffed pillows were being tossed into the water in his place. He even faked his own death once simply to make headlines. He made a fortune off of that. His talent for obnoxious self-promotion based on nothing would probably land him a million Instagram followers today. So why did Walter Scott Brodie end up nicknamed after his era’s Kardashian? No idea. But, THE Brodie is not from the Roanoke. 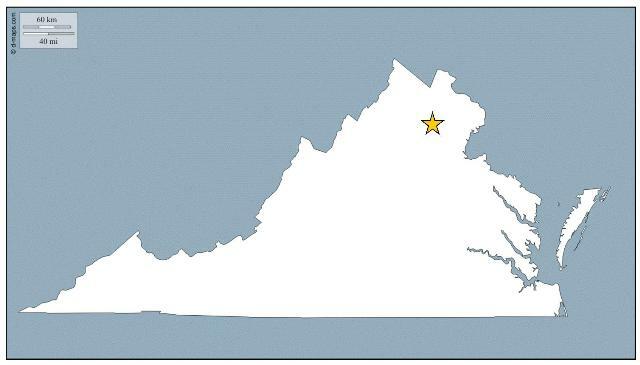 He was born and raised in Warrenton, Virginia – 200-some miles NNE of Roanoke. 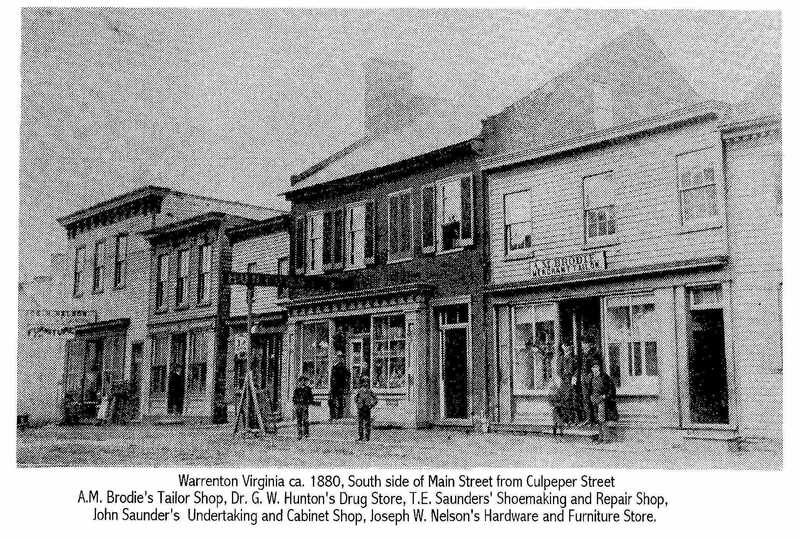 Warrenton was just far enough away from Washington, DC to make it a prized 19th-century summertime resort for the DC upper crust. A horse and carriage could make the trip in about 12 hours. Today, it’s been absorbed into the DC suburbs and the morning commute to DC can take anywhere from three to four hours in rush hour traffic, plus another three to four to get back home. In other words, there are people today who spend up to 40 hours commuting all week in their cars simply to live in Warrenton. Brodie’s dad was one of the town’s tailors whose shop was on Main Street. Main Street, circa 1880. A.M. Brodie Tailor Shop is on the far right. Main Street. Same view, 2017. The building next door to Brodie’s shop is still there. 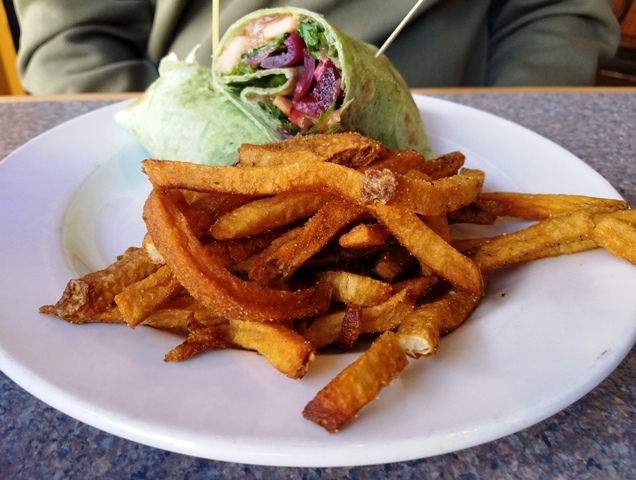 It’s now the Black Bear Bistro and it’s delicious. 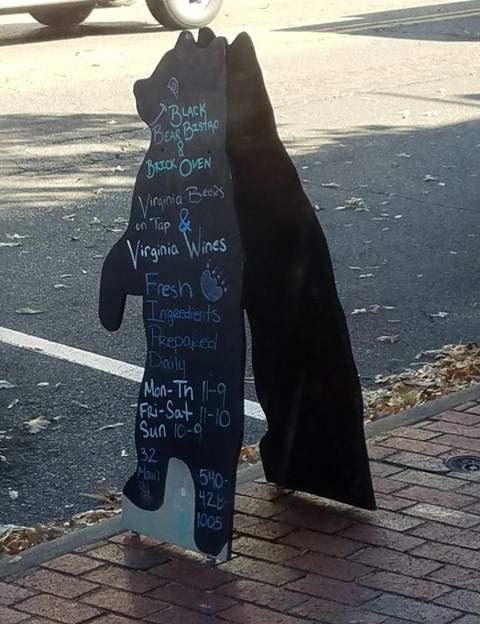 So Nice, We Ate There Twice. Was He Quirky Or Just Jerky? He would talk to himself in the outfield, sometimes missing a play or dropping the ball when his conversation with himself became particularly animated. When a fly ball came his way he would routinely yell at it – “You dirty dog! You dirty dog!” – which disturbed right fielder Wee Willie Keeler so much on his first day with the O’s that he left the field. In his first game back in Baltimore following his trade to Pittsburgh, Brodie simply walked over to the Orioles bench and sat down. More than one story reported that he kept a pet bear at home and he would muzzle it and then wrestle it during the off-season to keep fit. But, Brodie also had a mean streak – if there was a fight, he was in it. If he didn’t start it, he would push his way into it. Brodie was notorious for swinging at the first pitch – something that drove his Orioles manager Ned Hanlon mad. Those old Orioles were known for their patience at the plate, careful swings, perfect bunts, and precise hit and runs. When the Baltimore summers hit their humid peak, the Orioles tried to wear out opposing pitchers by taking more balls and biding their time. Brodie Was A “Stellar” Player. Or, Maybe He Was Just Ordinary. Boston Beaneaters, 1890. 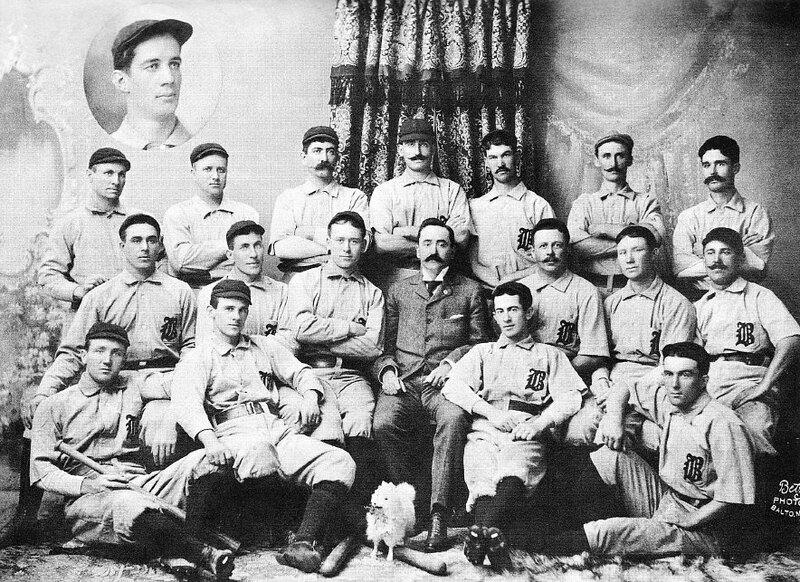 Brodie, holding a bat, middle row, far right. Loopy, sure. We’ve covered that. But, stellar? He was a career .303 batter and an okay fielder, but was prone to boneheadedness. Once, when rounding the bases and heading for home, he stopped to cheer on his teammates and was tagged out. He may – or may not – have used a glove with a hole cut in it because he believed he could field better bare-handed. Fans loved his goofy outfield play – once, overrunning a fly, the ball bounced off his heel and into his glove. Another story says that a ball once bounced off his head and into his glove. His .297 BA during the Orioles championship 1896 season ranked him seventh out of the nine regular starters. Four of those champion Orioles are in the Baseball Hall of Fame. But, no, not Brodie. But, fans loved him anyway (well, probably not the one he tried to punch in the bleachers). 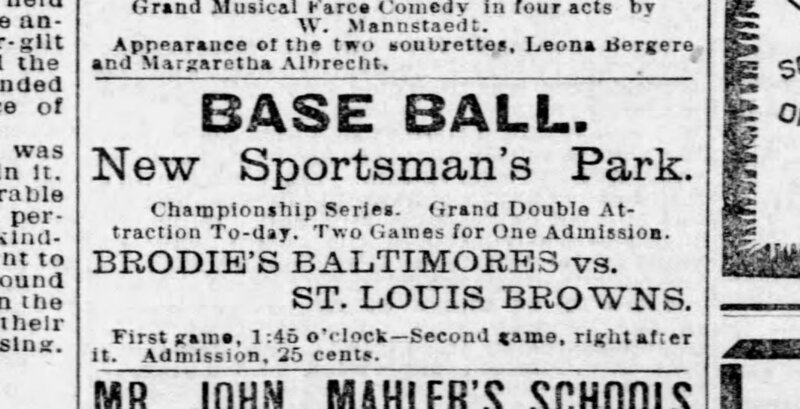 “Brodie’s Baltimores” — After the Browns traded him to Baltimore, they cashed in by promoting his return to St. Louis in 1893. 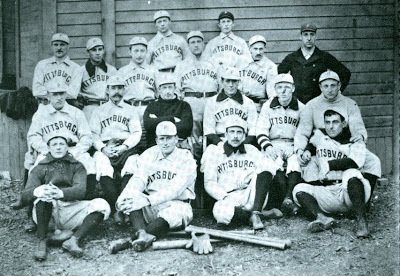 1897 Pittsburgh Pirates. Brodie, front row, far right. Brodie was so upset about his trade to Pittsburgh that he convinced the Pirates to move that season’s spring training from Savannah to his home in Roanoke. His shoulder was bum pretty much from the get-go in Pittsburgh and the Pirates suggested that the Orioles had known that Brodie’s shoulder was bad all along. 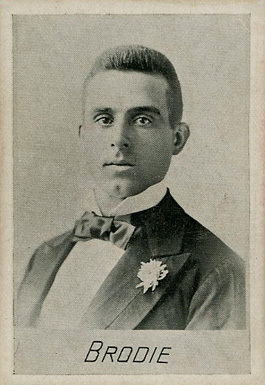 Brodie Played In 727 Consecutive Games – A 19th-Century Record. Except, He Didn’t And It Wasn’t. Brodie died in 1935, and shortly after his death The Sporting News reported that Brodie had played in 727 consecutive games, which would be a 19th-century record. The Baltimore Sun occasionally cites this number and so does the Society of American Baseball Research (SABR) in their bio of Brodie. The alleged 727 count begins in 1891 when he’s with Boston and continues through seasons in St. Louis and Baltimore, and finally ends with Pittsburgh in 1897 (with that bum shoulder I just told you about). You could look it up. But, you don’t have to, because I did it for you. St. Louis was playing Chicago in the last game of the 1892 season and Brodie didn’t play. St. Louis papers didn’t always provide box scores, but Chicago papers did. And, their box score is clearly Brodie-free. Lew Camp played centerfield that day. 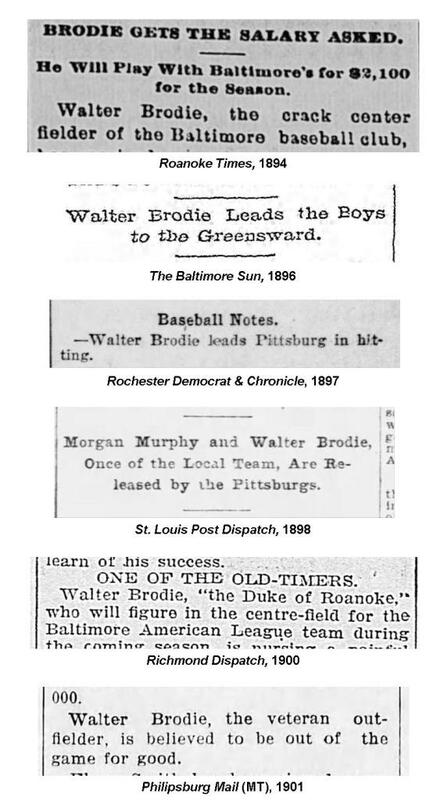 A reporter later noted that Brodie was let go a day early so he could head back home to Roanoke. That missed game in 1892 scrubs the 727 number. But, beginning in 1893, Brodie did play in 574 consecutive games which isn’t 727, but is still impressive. He ranks 23rd amongst all ballplayers. And, second amongst 19th-century players. George Pickney – at 577 games, three more than Brodie – holds the 19th-century record. So close, Steve Brodie. So very, very close! Wherefore Art Thou, Walter? Or, Steve? I can’t tell you if Walter Scott “Steve” Brodie is remembered fondly in Warrenton or if he’s remembered at all. The local historical society was closed on the day we visited. But, Brodie isn’t the only major leaguer to hale from Warrenton. Lefty reliever Mike Duvall was born in Warrenton in 1974. As a minor leaguer, he was picked up by Tampa from Seattle in the 1997 expansion draft and spent three seasons with the Devil Rays and one with the Minnesota Twins. He appeared in 53 games, pitched 51 innings, and ended his major league career in 2001 with a 5.29 ERA. In 2016, the local paper reported that Duvall was the only Fauquier County product to make the major leagues. But then they corrected their mistake, saying Duvall was the only Fauquier County High School player to make the major leagues. The reason The Fauquier Times corrected the story? 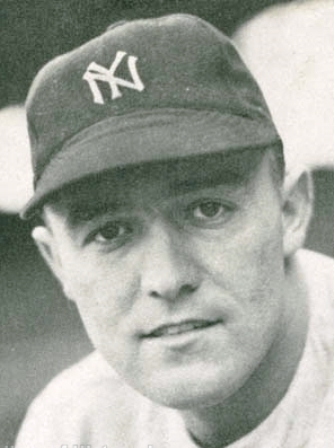 Arthur “Bud” Metheny, a outfielder with the 1940s Yankees, graduated from another high school in Fauquier County. But, here’s the thing. Metheny wasn’t born in Virginia. He was born in St. Louis in 1915. Let’s set this record straight. Walter Scott “Steve” Brodie was born in your town in 1868. His father had a tailor shop on Main Street. He learned to play baseball there. He played for one of the greatest major league teams in baseball history – the legendary 1896 Orioles. For more on The Virginia-Born Baseball Project visit here. 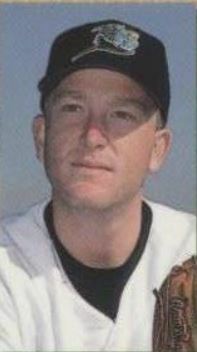 This entry was posted in Baltimore Orioles, Baseball, Baseball History, Virginia Born and tagged 19th Century Baseball, Baltimore Orioles, Pittsburgh Pirates, Virginia Born, Walter Steve Brodie, Warrenton by Jackie, The Baseball Bloggess. Bookmark the permalink. Virginia sports writers should be told to check their facts with you before going to print. Great story Blogess! Once again, I’m impressed by your dedicated research culminating in an interesting and informative post. While I had never heard of THE Brodie, the name Bud Matheny (also spelled Metheny) tickled my memory cobwebs. In addition to his time with the Evil Empire, he rehabilitated himself as a long time coach (baseball and basketball) and administrator at ODU. He was also a W&M grad and is a member of the College Baseball Coaches Hall of Fame (amoung others). And he was apparently the last Yankee to wear the number 3 before it was retired. Good catch! I thought I had fixed Metheny, but it clearly haunted me. Thank you! Yes, Metheny is also in the Virginia Sports Hall of Fame in recognition of his long career at ODU. He has definitely earned that honor and ODU continues to have a strong baseball program. Thank you for the kind words and Season’s Greetings to you and yours! This was really well put together. great stuff! Thanks, Gary … I appreciate it! Back in late 1968 after leaving Viet Nam, the Army decided I needed a little relaxation and sent me to a place called Vint Hill Farms just outside Warrenton. Visited the town a few times (and your Culpeper stomping grounds). Seemed like a nice enough place, but I never heard of Brodie while there. The post is now closed. I was so impressed with it that I’ve never been back (did drive through Warrenton once with my wife several years later). Nice story. Wikipedia (and Bloggess) 1, SABR zip. Thank you, v. About half of Warrenton hasn’t changed a bit since you were there in 1968. I should have posted a photo of the old Frost Diner for you — old school original narrow and stainless steel. And, the breakfast and coffee is exactly what you would expect it to be … whether 1957, 1967, or 2017. And, I mean that in the best way possible. Happy Holidays v … your posts always educate, enthrall, and inspire me. Great story. 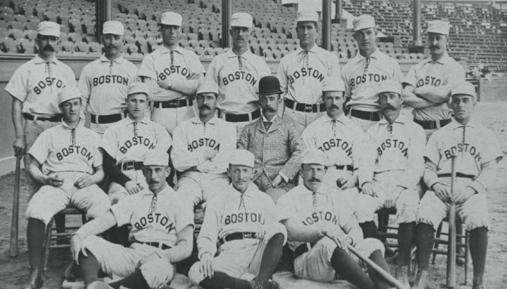 Beaneaters is a fascinating name for a team. Could the tomahawk chop be adapted to a Beaneater motif? Happy holidays, Merry Christmas, Seasons Greetings… hope you have a great weekend!!! And, all good things to you and yours, Cap’n Q! Interesting. Did not know that. I am playing the 1901 season with APBA Baseball and Brodie is sort of a 4th outfielder with the O’s. They are off to a 12-2 start (!) with Brodie finding his way into 6 games while filling in for an injured Mike Donlin, thus far batting .333 in 21 AB. 1901 is a good year for Brodie — despite the belief that his career was over in 1900. (The local papers call him a “baseball corpse” in spring training and his knees are bad.) 1901 is also the year that he gets tagged out between 3rd and home in a game because he stops to cheer the other runners who are coming up behind him. I love that APBA exists and keeps the game alive for these old players … I’m cheering for Brodie! Loved this! I hope Warrenton VA wakes up to remember a forgotten son! Thanks, Sharon! His parents had pretty deep roots in Warrenton and his father fought for the Confederacy and had that shop on Main Street, so I’m a little surprised that he seems to be forgotten. I suspect it’s because he settled in Roanoke and in his later years moved to Baltimore, where he died and is buried. Still, he IS Warrenton’s son. WOW–great baseball reading for a holiday. Any reference to Big Papi is welcome. Beantown will never replace such a character.